This regenerating balm combines the qualities of shea butter with the virtues of lavender essential oil. The shea butter - lavender Balm is good for all skin types. Shea butter is extracted from the nuts of a tree that grows in West Africa: Butyrospermum parkii (Sapotaceae family). It as regenerating properties thanks to the vitamins A, D, and E, which it naturally contains. It helps to protect the skin by providing it with essential fatty acids. 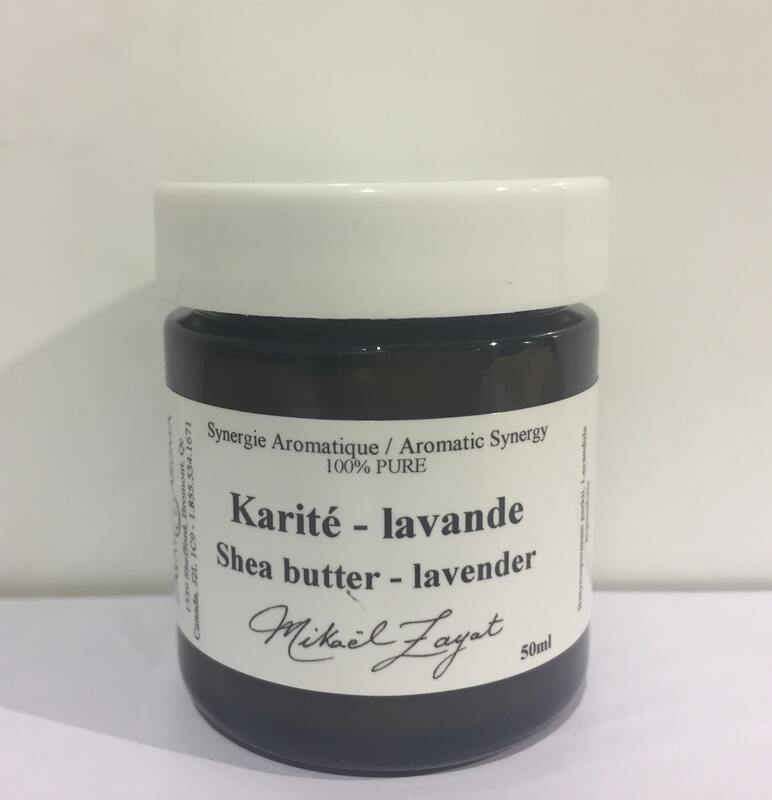 Properties: Shea butter - lavender balm protects, and softens, which contributes young and healthy skin. It helps fight premature wrinkling and ageing while re-establishing your skin’s natural balance. It contains allantoin, which reinforces the epidermis and prevents stretch marks while deeply moisturizing. Shea butter doesn’t leave a greasy buildup on the skin even though it can sometimes have an oily consistency. It helps preserve the healthy glow of the young-looking skin. Shea butter, lavender. It is ideal for after-sun care or to help feed and repair damaged skin. Mode of application: Under the action of heat, the Shea Butter Balm with lavender becomes more fluid and applies more easily.